Hey! Today's mani is a new favorite of mine! 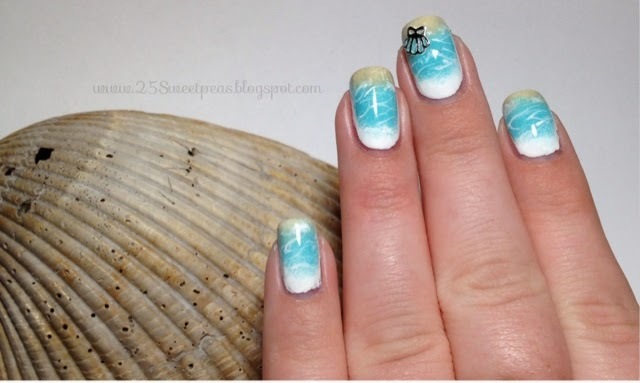 I love the beach, the ocean, shells, palm trees, and well if it's beach related I probably love it! I mean really isn't everything better at the beach? I think so! 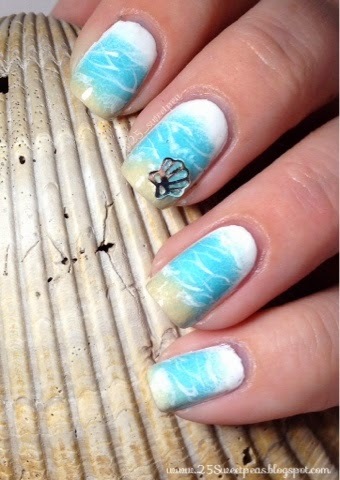 So recently I received some super cute nail charms from the Born Pretty Store so of course I used them do a beachy mani! So fun! I am loving wearing them! So the charm came in a pack of 11 which you can find HERE. They were super easy to apply on to my nail, I just added it on right after I put my top coat on. The charm does have a bit of a "curve" to fit your nail so it will apply really well in the middle of a nail. 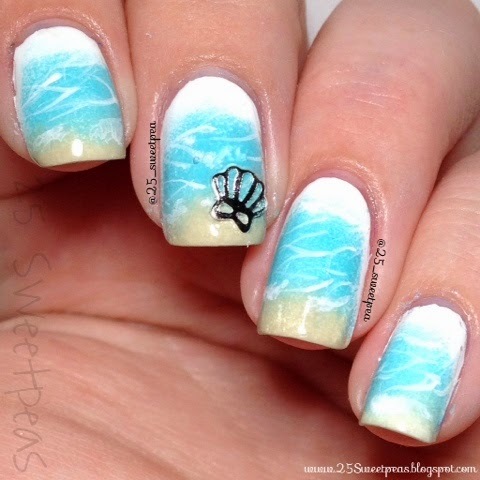 So since had a big seashell next to my nail area of course I had to include it! 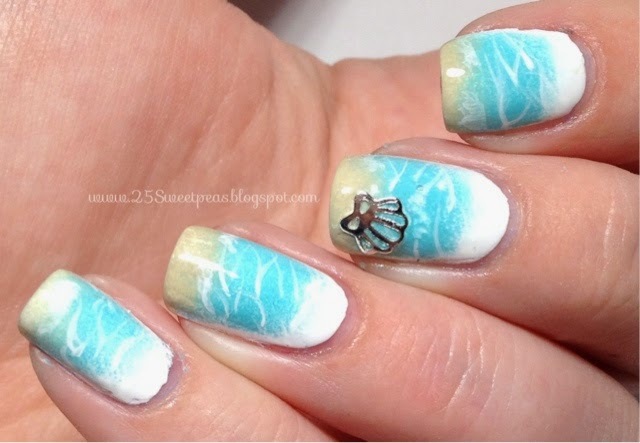 For the ocean part and the sand I applied a white base, I used Sinful Colors Snow Me White. Then I used that, Wet N Wild I Need a Refresh-Mint, and Flower Go with the Flow-er and did that like a gradation. After that I added some white ripples in the blue up into the white to make it look like water. 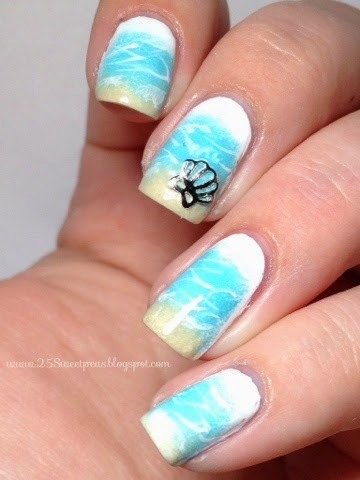 This was a really fun and simple mani to do for sure! I am loving it so much!